In this Martin & Sylvia's Nature School story, "Mother Earth Art", while searching for just the right words to write in his Mother’s Day card for Momma, Martin is given several great options from his friends at Wilderness School. The project for that day, however, is not focused so much on their own human mothers, but on the mother we all share: Mother Earth. Sunday is Mother's Day, and what could be more perfect than a nature gift for Mom. 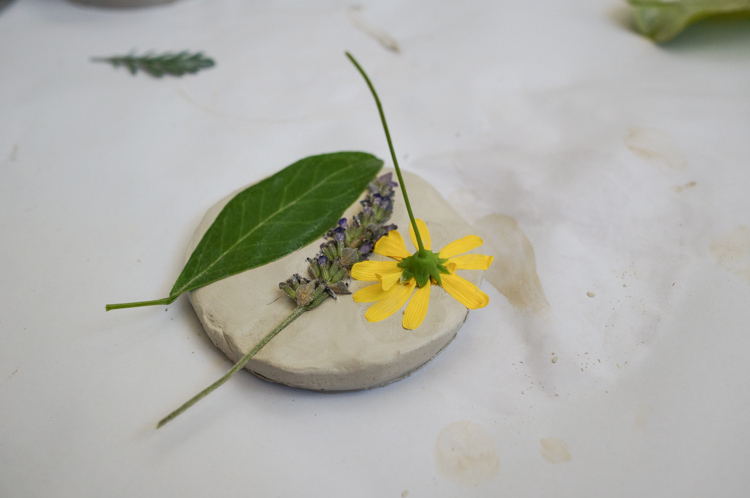 This project was inspired by earth the art Martin's wilderness class made for Mother Earth. 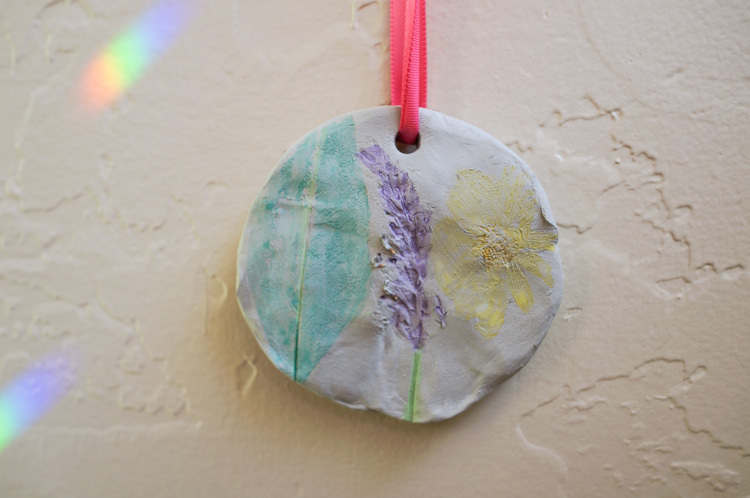 Using clay and leaves and flowers, you can create a beautiful piece of art that the mother in your life can hang on the wall inside or outdoors and feel a greater connection to the outside world. 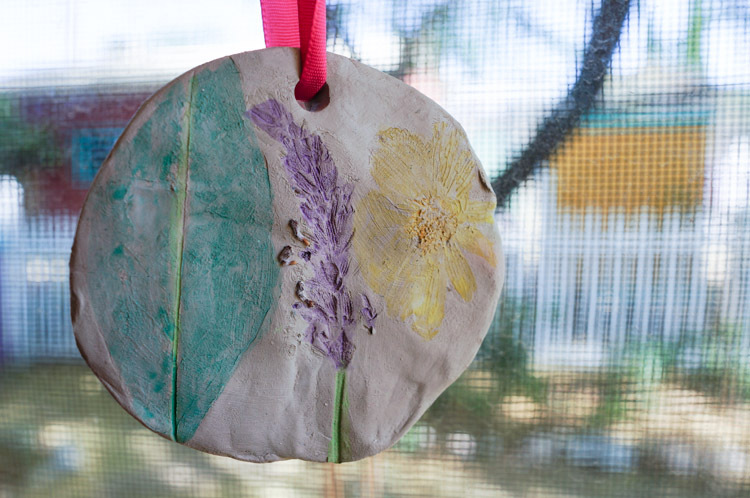 This hanging earth art is easy enough for even the smallest nature artist to work on. It's also a nice change from the typical noodle necklaces. 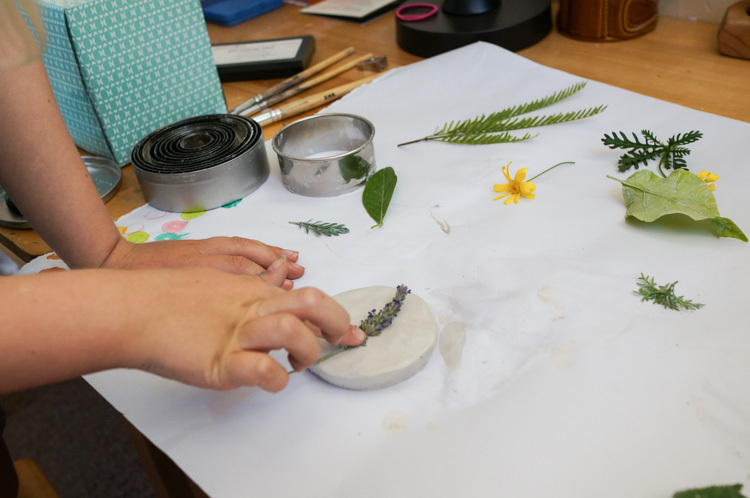 All you need are a few simple materials like clay, leaves and flowers, and watercolor paints. Start by gathering all your materials. You'll want to find nature objects that have lots of texture. For example, you'll get a better impression with a twig with bark on it than a smooth riverstone. Cut off a large piece of clay, about 1/2 an inch thick, from the block. 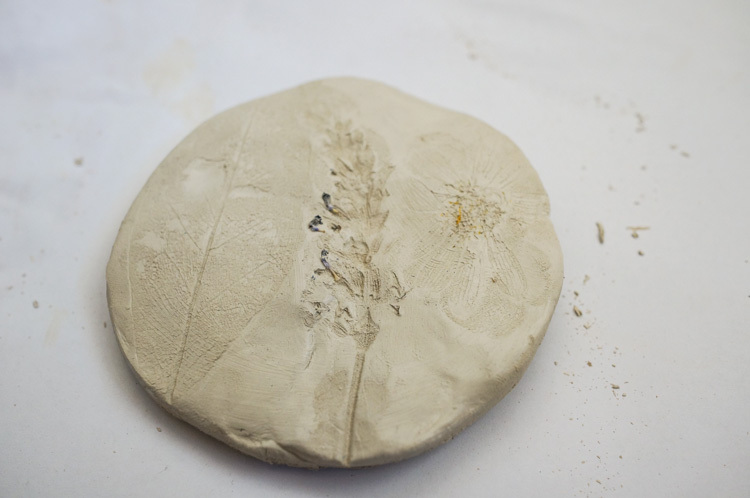 Knead the clay for a few minutes, like you would with bread dough, to warm it up and make it easier to mold. 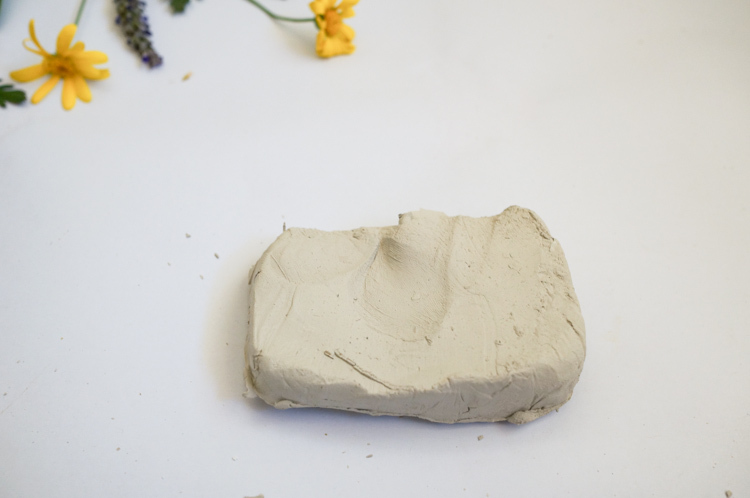 Next, using your hand or a rolling pin, flatten the piece of clay to 1/2 an inch thick. 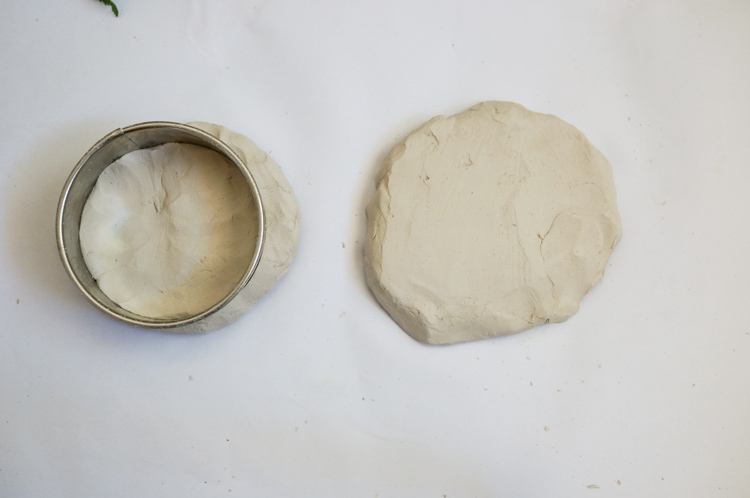 Then, you can either shape the clay into a circle using your hands or use a cookie cutter of whatever size you desire. Now is the fun part -- creating the impressions with the nature materials you gathered. 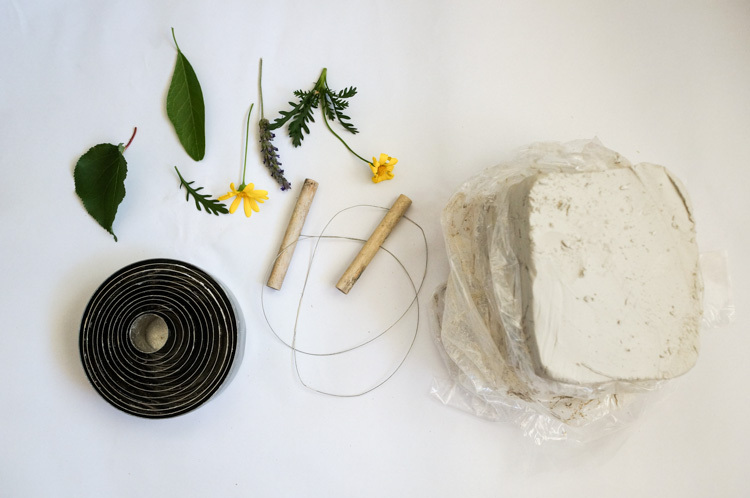 Arrange the items however you wish and press them into the clay firmly. Remove the objects and look to see if the impression is deep enough. If not, simply smooth out the clay with your fingers and try again. Lastly, using a pencil or a straw, make a hole in the top of the disk. This will be for the ribbon to hang it with. Now let it dry overnight. This make take more than one day if you live in a humid area. When the clay is dry you can paint it to help enhance the texture. Finally, put a ribbon through the hole and your wall hanging is done.